Six days after a Christchurch shooting left 50 dead, new laws passed. Nearly three years after Pulse shooting left 49 dead, no such luck. New Zealand has swiftly passed a ban on assault rifles less than a week after a hateful attack left 50 dead in two Christchurch mosques. 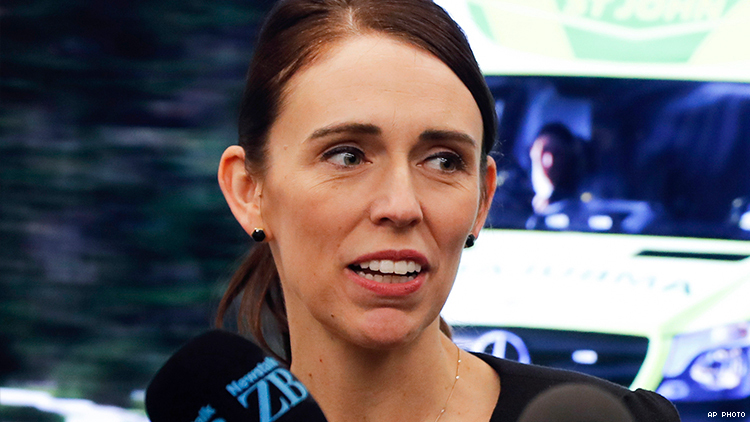 "It's in the national interest and it's about safety,” Prime Minister Jacinda Ardern during an annoucement that the new law will go into effect by June 11 as a way “to prevent an act of terror from ever happening again in our country." Her swift action is now standing in stark contrast to what many see as a lack of response to other hateful attacks like on a gay club in Orlando nearly three years ago, among countless others, by the United States. “Meanwhile, we can’t pass background checks in the U.S.,” says Brandon Wolf, a Pulse Nightclub survivor who lost two friends in that shooting, to the The Advocate after hearing of the ban. Wolf has been promoting vigils in Orlando since the New Zealand shooting while in his new role with Equality Florida. The survivor of one of the most deadly American shootings has dedicated his life to fighting for gun control. Wolf says the difference between the U.S. and Zealand is striking. "New Zealand is now another example of what is possible when government functions on behalf of its people, not special interests. The victims of ChristChurch deserve action — and they got it." United States lawmakers have shown internationally infamous inattention to the same issue as the country seemingly faces a mass shooting ever few days. This lack of response is often widely expected and the most striking example for LGBTQ people is the continued failure to put in place an assault weapons ban after 49 were killed in the Pulse shooting in 2016. "We as a country have to acknowledge that we are the failed experiment of loose gun laws, corporate greed and apathetic lawmakers desperately trying to win elections instead of do their jobs," Wolf told The Advocate. "The victims of Pulse deserve better. The victims of Parkland deserve better." "And the nearly 40,000 Americans who die annually from gun violence deserve better than the empty cycle of thoughts, prayers and cowardice that is our status quo," he continued. After the Pulse shooting, Florida lawmakers did not restrict firearm ownership. However, they did ban bump stocks and raised the gun purchasing age after the Parkland high school shooting, though that legislation proved controversial for also allowing school officials to carry concealed weapons. Regardless, those measures were tepid in comparison to New Zealand action. The island nation was able to ban ownership of all military-style semi-automatic weapons and on assault rifles in virtually now time compared to the U.S. Ardern also announced a government buy-back program to compensate gun owners when they return newly banned firearms. However, the U.S currently has no similar plans in the near future and currently experiences more mass shootings than any other nation in the world.